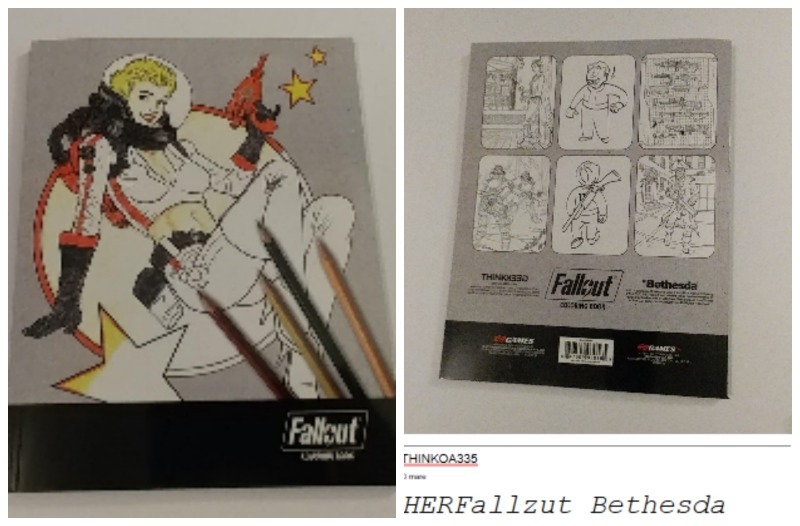 The Fallout Adult Coloring Book, a ThinkGeek and Bethesda Store exclusive, contains over 100 line drawings from the game Fallout 4. 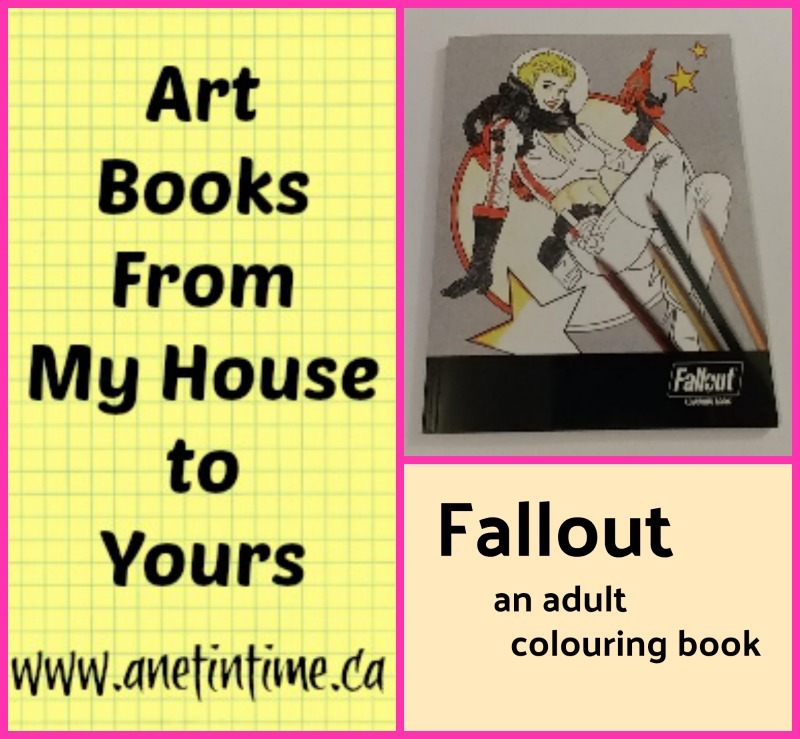 For fans for of the Fallout series, this might be a must have for their vaults. 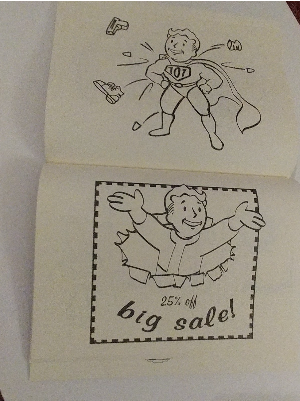 The majority of the book contains images of the Vault Boy to color of the various perks one can choose from the actual Fallout 4 game. Other pages depict the companions of the game: Dogmeat, Piper, Strong, Cait, Hancock, X6-88, and Gage as well as some of the enemies of the game like Deathclaws and Ghouls. 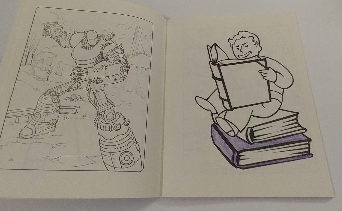 Noticeably missing from the coloring book are many of the more popular companions including Nick Valentine, MacCready, Deacon, the two Robots (Codsworth and Curie), Preston, and possibly Danse (one could argue he is one of the two Brotherhood of Steel soldiers). Upon further thought, Preston is probably helping a settlement. Personally, I like the chance to color some of the characters from the video game and Vault boy but I would have also liked to see more images from the game itself. Perhaps towns or locates of the Commonwealth like Diamond City or the Atom Cats Garage? Or even Vault 111. Does PopArt interest you? Want to learn how to do it yourself? 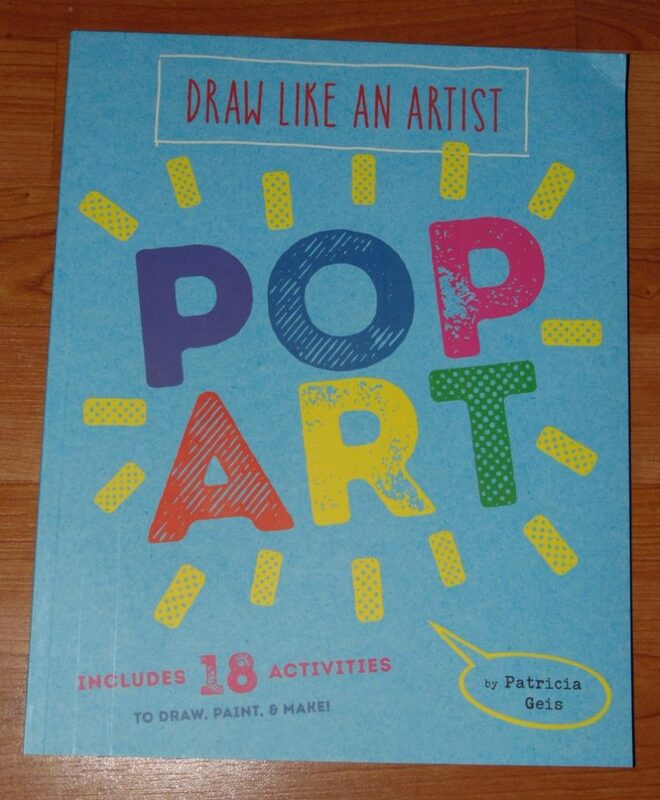 Draw Like an Artist PopArt will help you along your way. Don’t know what Pop Art is? Me too! I had to learn and this video helped. Simple colourful work. 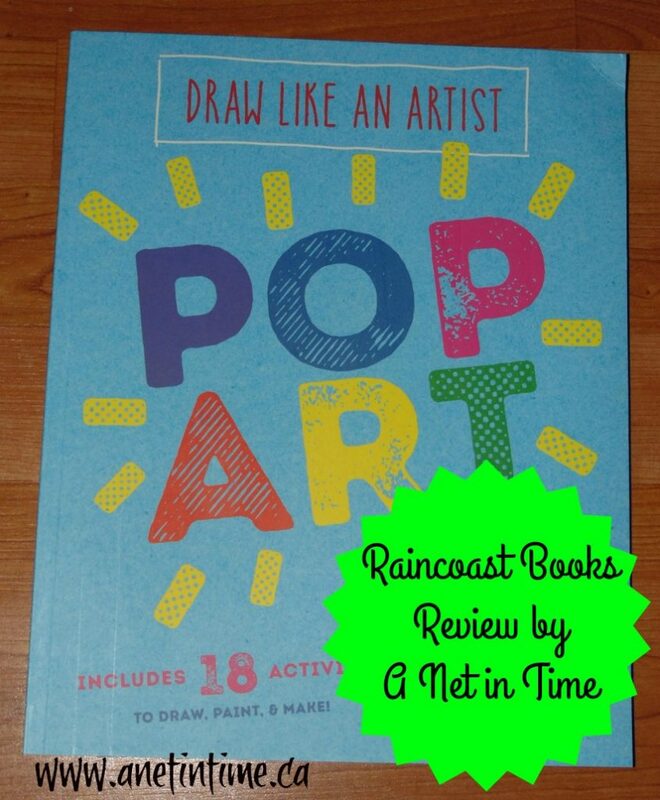 Draw like an Artist: pop art is a book that takes you through 18 different artists, introducing you the work they did and then gives you an opportunity to copy their style. This book does tell you how to do it, it gives you the opportunity and the paper, and then says This is what this artist did.. now.. make their style your own. I love this style of teaching. Being able to look at works of art until you understand the style and then being encouraged to make it your own….It’s wonderful! Anyways, artists include people such as Jasper Johns, Robert Rauschenberg, Peter Blake, David Hockney, Claes Oldenburg, Joe Tilson and more. 18 artists, 18 activities. Included at the close of the book are elements you can use in your creativity. 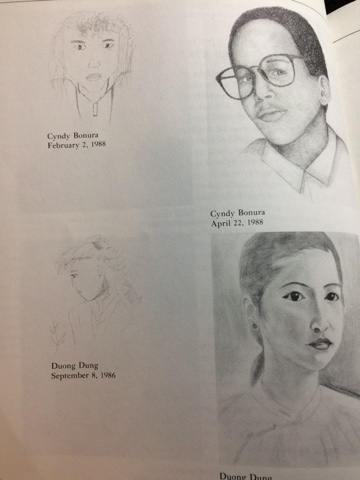 Each artist has a brief biography given plus a sample of their work. A brief synopsis of the type of work they did, and then encouragement to make your own piece of art. I thought this was a wonderful book. I love how each artist was introduced along with some of their art work. Then a simple encouragement to just try your hand at it. 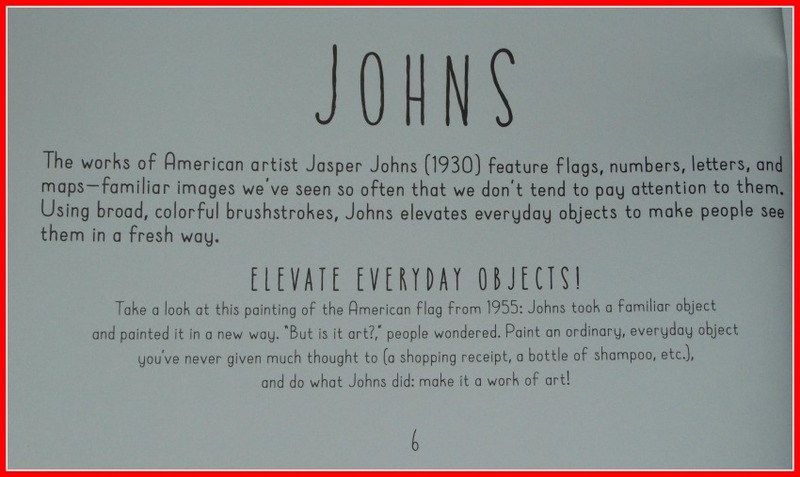 A page to work on with the artists work visible for inspiration makes it a useful book for students of Pop Art. I can see this book being SO easy to use for a co-op class. It would be a matter of finding samples of the artists work, adding a bit more to the biography, providing papers, magazines and a variety of art materials and then simply encouraging each student to make a work of art that is all their own. I think it would be fantastic to see more books like this one. Guess what! Ritsumei was ever so kind and thought she would join me in my art series. Please welcome her with me. 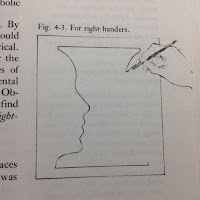 I was introduced to Drawing on the Right Side of the Brain by a friend of mine, a Real Artist. I asked him one day, “How’d you do that? ?” –and after he told me, he loaned me this book. Which I quickly decided I needed to buy. That was in 1994, and this book has been my friend ever since then. It’s a little worn… the poor thing split into two “volumes” when I had my oldest son working in it not long ago, and not because he was rough on it; he wasn’t. It’s just the kind of how-to book that’s easy to refer to and easy to use… and we gradually used it up. 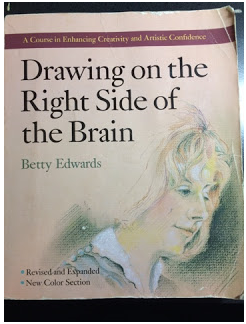 The book was first published in 1979, and a lot of the brain research that it rests on has been updated: I understand that the idea of the strict right-brain/left-brain categorization of tasks (logical work to the left; artistic on the right) has been refined and even outgrown. And when I sat my son down to read the book and do the exercises, I told him that: the science is dated. Well, the science may be dated, but the exercises work. So we continue to use the book. And it’s true: the things that Jay taught me in the five minute conversation that literally took me from drawing bad stick figures to doing a recognizable portrait that afternoon were all about how to look at things. 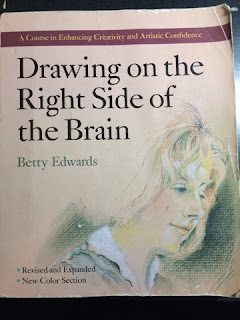 Drawing on the Right Side of the Brain continued the lessons in how to see, and just as important, to trust what I see. I thought that my sister got all that talent; really, she learned to see before I did. It’s got a nice collection of before-and-after student work. These two are my favorites. 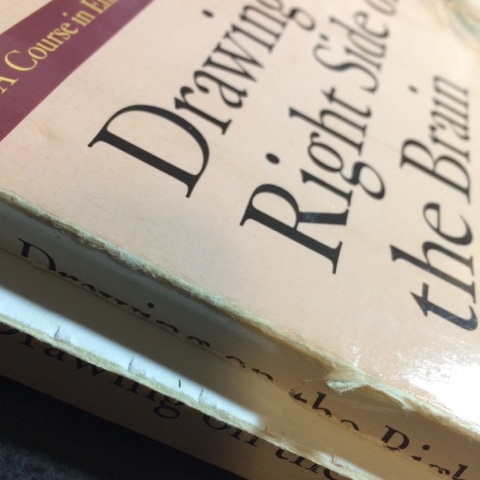 Throughout the book, there are readings, as the author teaches in the main body of the text, and puts a great collection of quotes and exercises and artwork from both students and masters in the sidebars on each page. The exercises start in chapter four, and they are excellent. Sitting in school, I passed time by doodling vase faces on my notebooks and folders long after I had completed the exercise. I still enjoy doing them; to make a convincing face requires a relatively high degree of concentration and care, which makes it a good exercise long after the basics of drawing become familiar. There are a number of other great exercises as well. 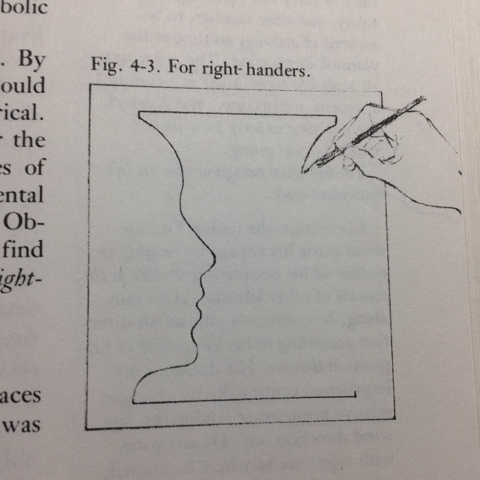 One of the most memorable is copying a Picasso line drawing — but the drawing is upside down while you do it. It really messes with the preconceived notions of what things ought to look like when you draw them upside down — and that is exactly what the book is all about: helping the student get past their preconceived notions of what things look like, so they can get to putting what things really look like on the paper. More than once I’ve suggested that moms who want to learn to draw ought to grab one of the coloring sheets they print for their kids, turn it upside down, and draw it themselves. It’s a great exercise for confusing the part of the mind that likes to slap a quick label on things and be done — which allows the slower, calmer, more patient part of the mind to emerge and to really see. 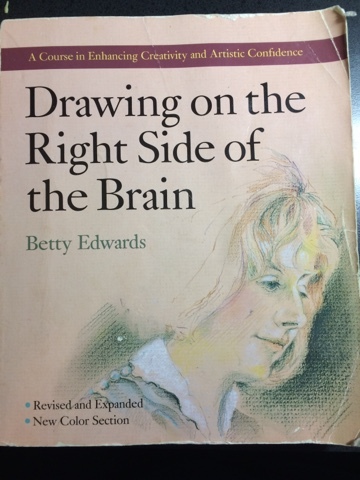 Because seeing well is what drawing is all about.My poor, worn-out copy is from the second edition, and looking at Amazon, I see that it’s now in the fourth edition, and the chapters have been reworked enough that a few of them have slightly different titles. But looking through the preview, I see that much of the material is probably going to be familiar, when I finally get around to replacing my poor old book. 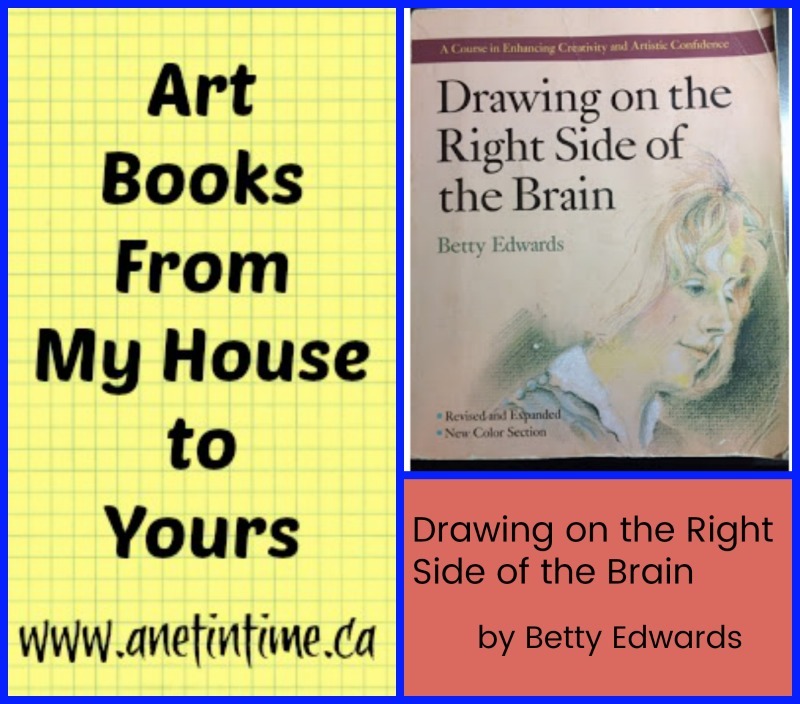 Which I probably will do: after my oldest, there are two more children that I’ll want to work through the book, so that they, too, can learn to see well enough to draw well. homeschooling for ~8 years, since her oldest started doing preschool. 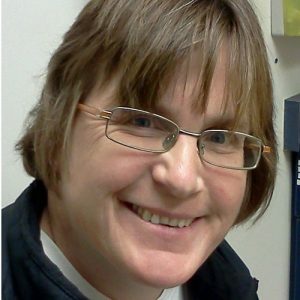 You can find her blogging at Baby Steps, where she primarily posts about homeschooling life, educational philosophy, and the Bible. Ritsumei is a wife and a mother of three. She has been using a Classical/Charlotte Mason approach to homeschooling for ~8 years, since her oldest started doing preschool. 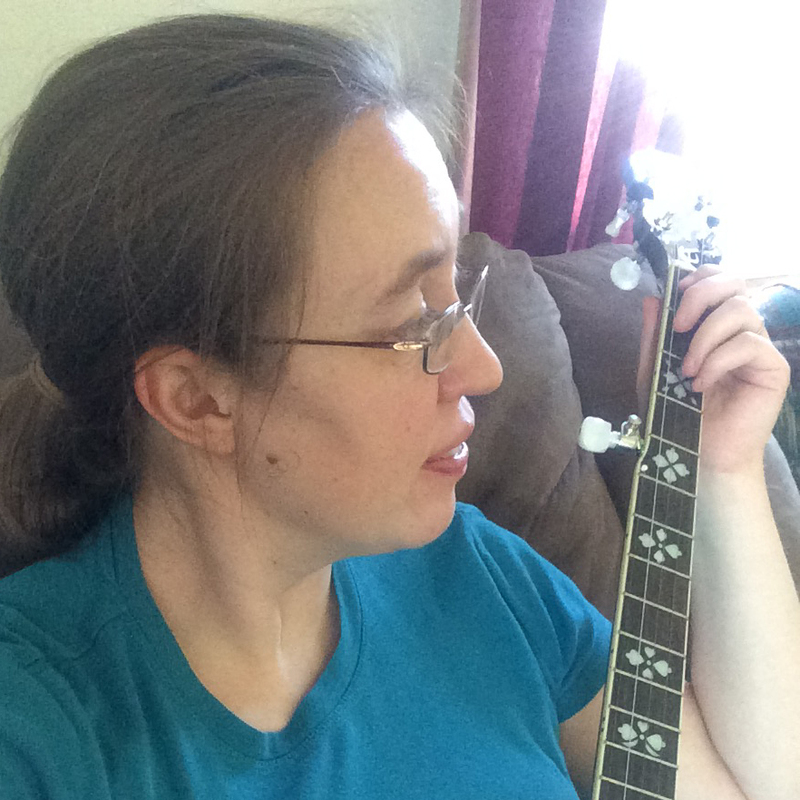 You can find her blogging at Baby Steps, where she primarily posts about homeschooling life, educational philosophy, and the Bible. 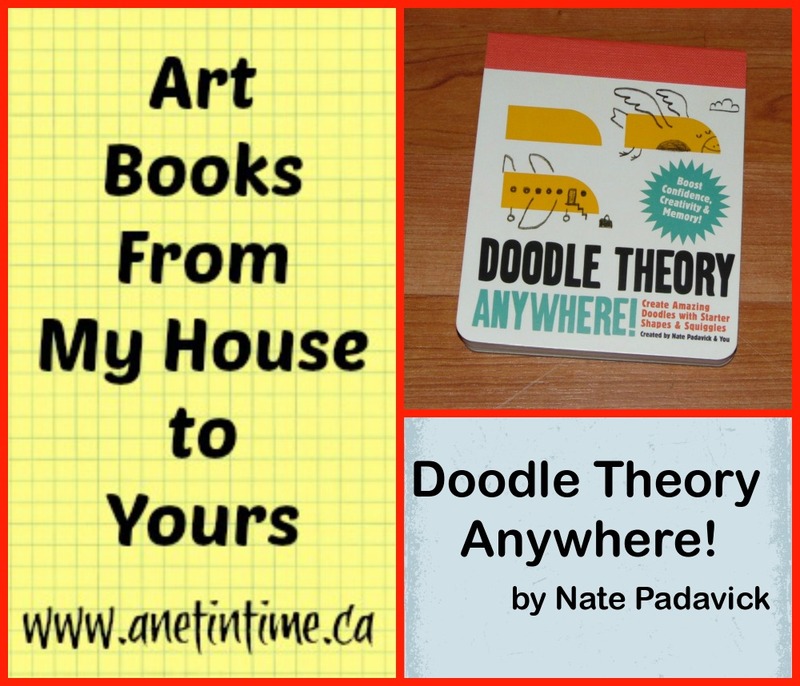 Art Book: Doodle Theory Anywhere! Guess what I have for you today? It’s a neat little book filled with colourful shapes to jump-start your doodling. It’s a creative adventure just waiting for you! 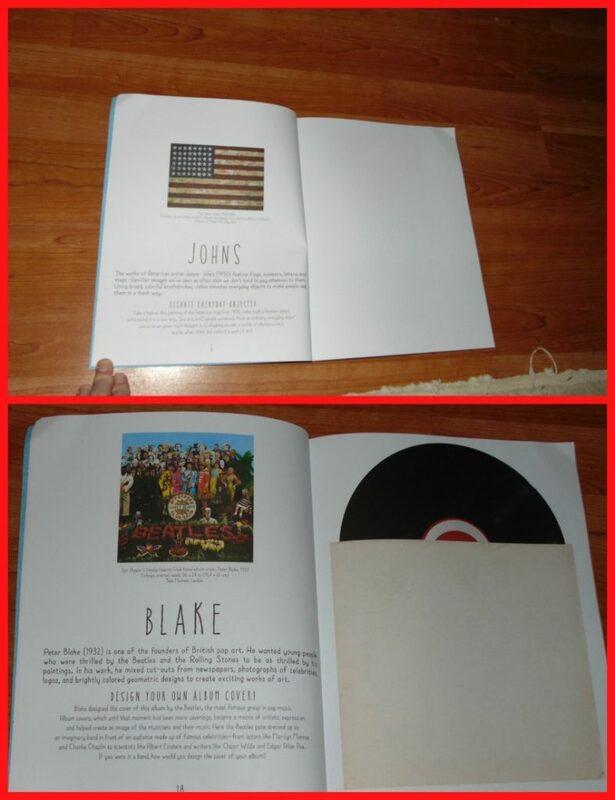 The book? Doodle Theory Anywhere! I made up a small video so that you could see this book better than I can describe it in words. Isn’t it a cool little book? So many shapes, colours, and figures to set your imagination loose on. Can’t you just see yourself plucking it down in your purse or a car bag for your youngsters and heading out the door. Wouldn’t it be great to have something easy at hand to take the place of the electronics? It’s just the right size to fit in a purse, oversized coat pocket or toss into a car bag for the youngsters. 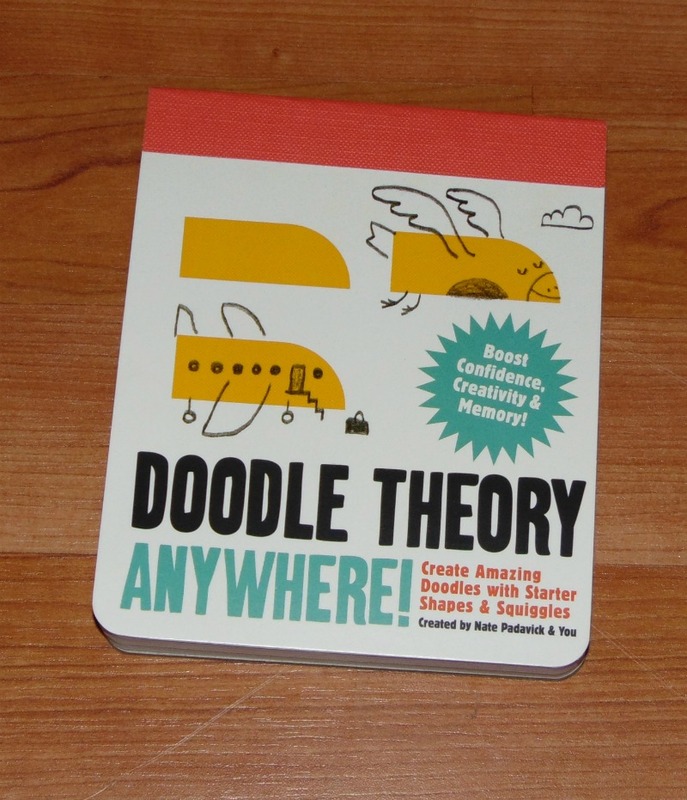 I think it’s a neat little book, it’s apparently a smaller version of the Doodle Theory drawing pad. This version is a petite version meant to travel with you, making it a very handy little resource. Doodling helps to spur on creative thinking. It also is great at letting your imagination soar and your brain rest, helping to connect pieces that normally you might not. I know that when I doodle I will often have a “eureka” moment as suddenly I get the answer I sought. It also gives you something to do to keep you busy for car rides, plane rides, waits in offices and such like. Since it’s NOT an electronic device, it is more welcoming of conversation, as people wonder about this amazing book that you are so busy with. 🙂 Human connection is SO important you know? Where to find it: Amazon Link.